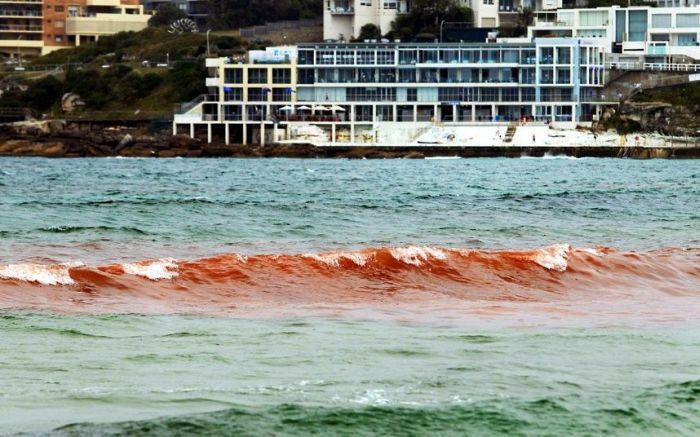 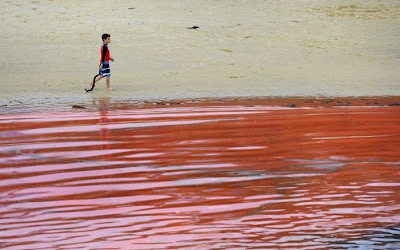 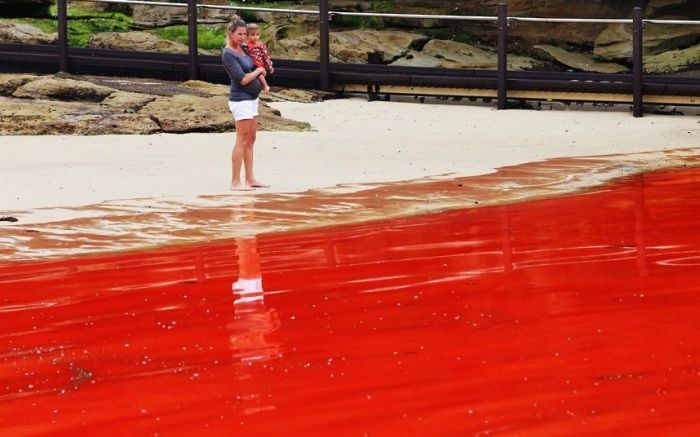 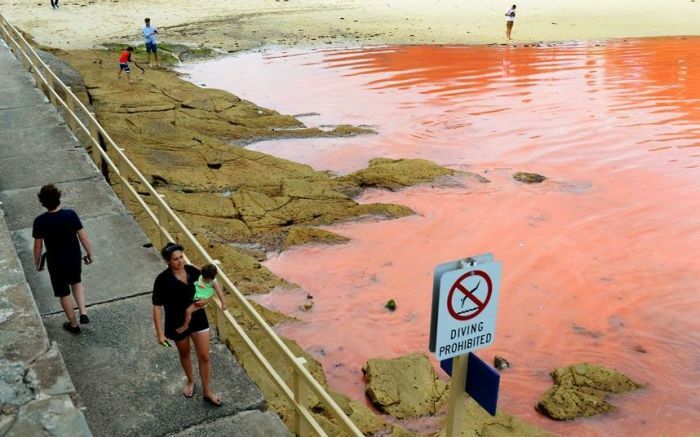 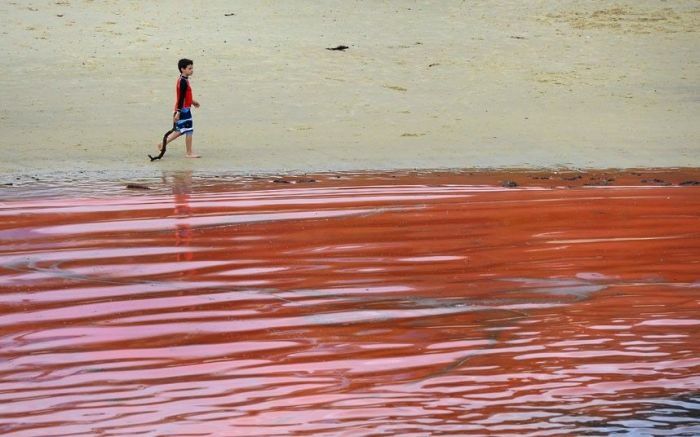 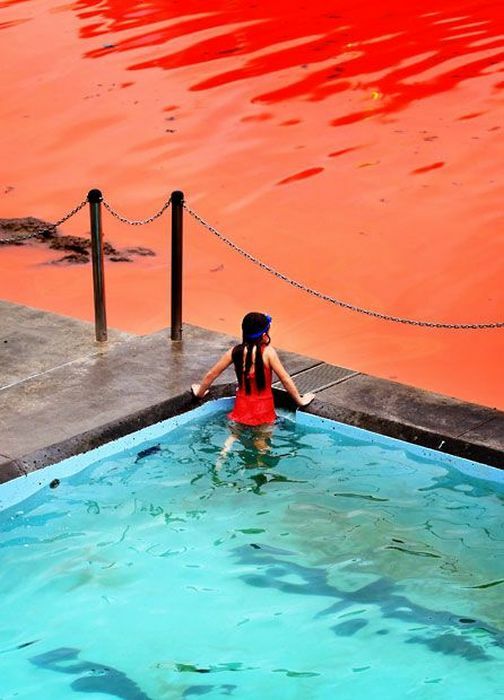 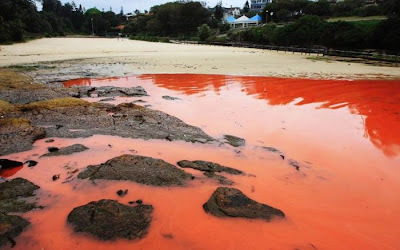 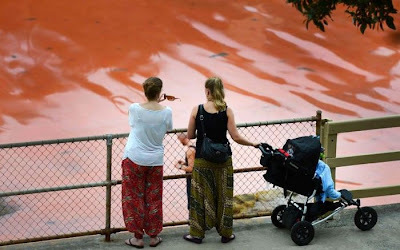 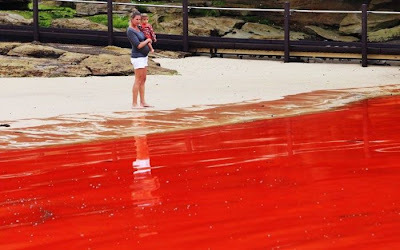 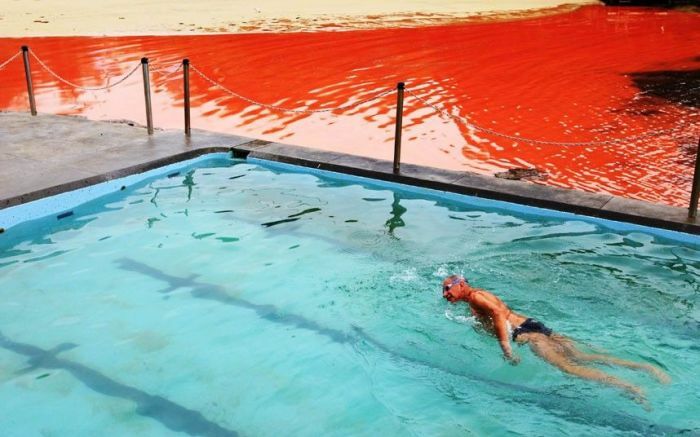 Due to a bizarre naturally occurring algae, many Australian beaches were closed for a day. Red blooms such as these can be a hazard to swimmers due to high levels of ammonia contained in the algae which can cause rashes and eye irritation. 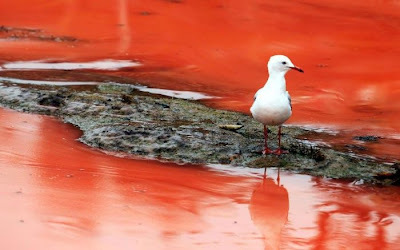 The thick bloom was caused by noctiluca scintillans, a dinoflagellate marine algae that is also called “Sea Sparkle”, because it exhibits bioluminescence. 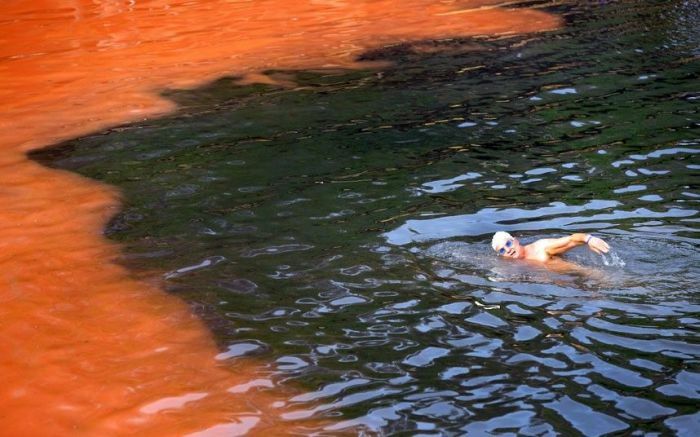 But all that is a really technical way of saying that it makes the water look red.